Just wrap in a bow and you're good to go. Still looking for just the right gift that says Chicago 2008 all over it? How about celebrating the mayor's privatization of the city's parking meters by buying one for the love of your life? 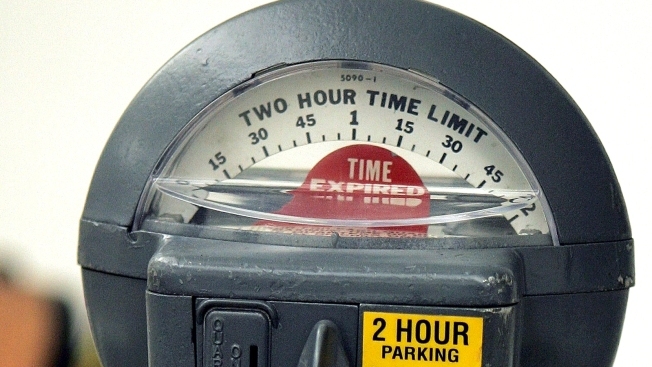 "Yes, you can buy your favorite parking ticket scofflaw, their very own Chicago parking meter," the Parking Ticket Geek writes at The Expired Meter. "For a mere 800 smackeroos, you can bring 75 pounds of metallic joy into your loved one’s living room as a constant reminder of their inability to put a single shiny quarter into parking meters all over Chicago." It's real, it's functional, and it's meant for entertainment purposes only . . . although you could probably stick it in front of your house during the winter instead of putting furniture in the street to save your spot. Or maybe make a deal with the mayor to split the revenues you collect. Just remember, for an authentic parking meter experience you should break it four times a year and then raise the fee. Ahh, Chicago! The $800 parking meter is available for purchase at The Chicago Store, located online and at the north end of the Cultural Center. The store features all things Chicago, including souvenirs, T-shirts, books, posters and prints, and unique collectibles.